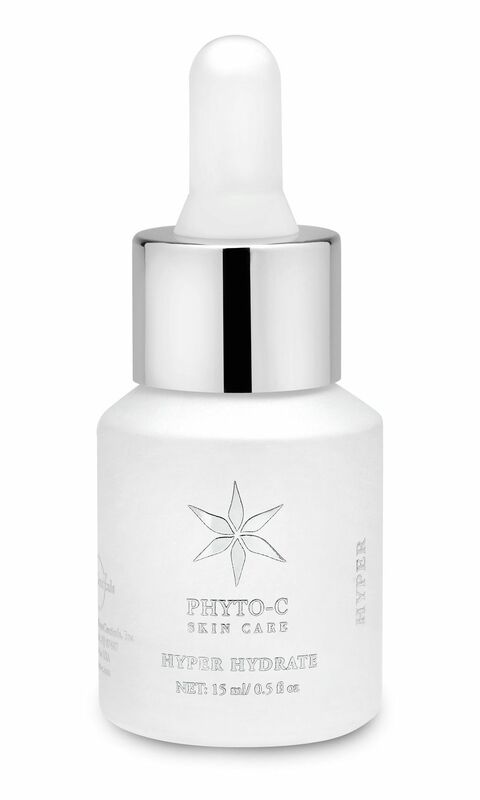 Phyto-C HYPER-Hydrate quenches skin with the latest in “Gradient Layer Technology”, a combination of three molecular weights of hyaluronic acid to address different levels of dehydrated skin. These weighted hyaluronic acids have been clinically tested for their ability to provide a sustained hydrating effect to the skin through a consistent rate of absorption. This highly moisturizing serum combines HYPER’s signature H₂A₂ technology with L-Proline, one of most abundant amino acids found in the skin, to help improve the appearance of skin elasticity. HYPER’s unique H₂A₂ formula, which stands for “HYPER absorbing hyaluronic acid,” delivers essential ingredients where you need them most at the perfect absorption rate. Addresses and nourishes even the most dehydrated skin with a combination of H₂A₂ technology and three different molecular weights of hyaluronic acid. Improves skin health and overall appearance with three amino acids. Formulated in a non-greasy serum.